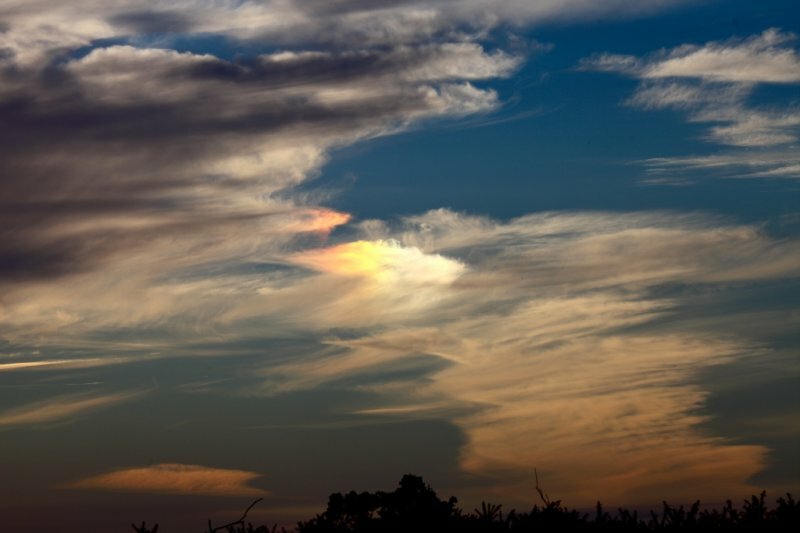 The dog walked produced another unique photo-opportunity tonight, cirrus clouds, sunset and Sundogs. I first noticed the Sundog to the left of the Sun – fairly weak but clearly there. Within about half an hour the Sundog on the right hand sside of the Sun became more pronounced while the one on the left almost disappeared.